Heart Location: Lincoln, NE. Contact us if you'd like it moved to a different location. - The team logo is NOT for sale. It is there just for size reference (4" x 6"), and decorative purposes. 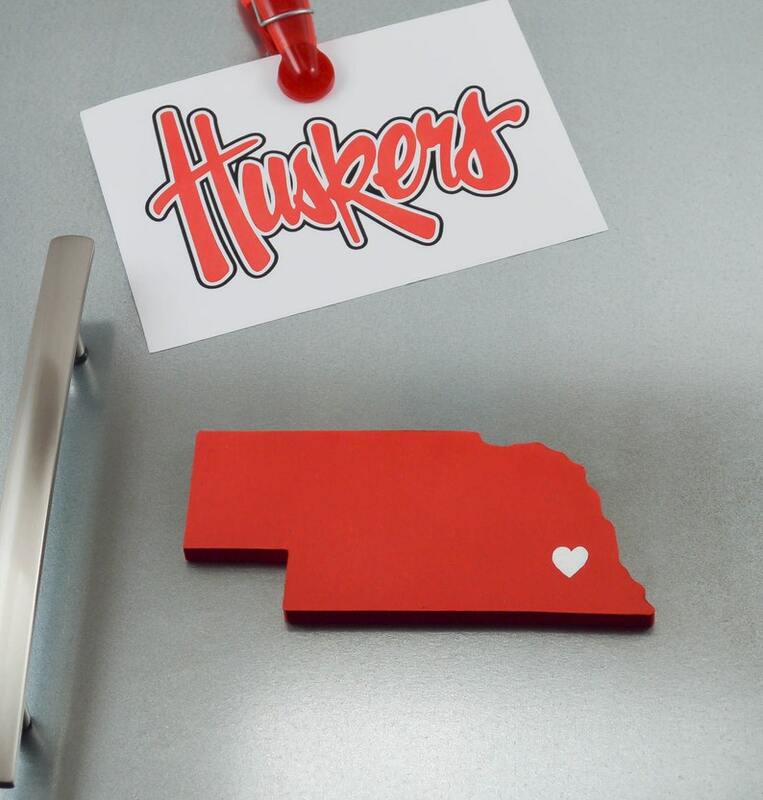 State Your Team is not affiliated with, nor endorsed by the University of Nebraska. The logo is used strictly for decorative purposes. - The mini helmet used in the picture is 5" tall...and it is NOT included.